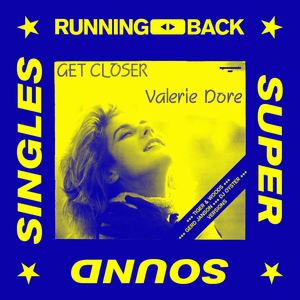 Valerie Dore's "Get Closer" has never been one of Italo-disco's most in-demand records, though the Milan-made synth-pop style chugger is undoubtedly something of a slept-on classic. Running Back boss Gerd Janson is clearly a fan, though, because he's decided to give it the remix treatment. He provides his own "Coy Club Edit" interpretation, which sticks closely to the original while removing some of the track's cheesier elements, while DJ Oyster reaches for the filters and provides a "Tool Time" cut for adventurous DJs (think vocal loops and the like). The headline attraction, though, is undoubtedly the Tiger & Woods remix, which reconfigures the track as a loopy and loved-up chunk of saucer-eyed Italo-disco/deep house/electrofunk fusion.